Botanical Name of Lamb’s Quarters: Chenopodium album. 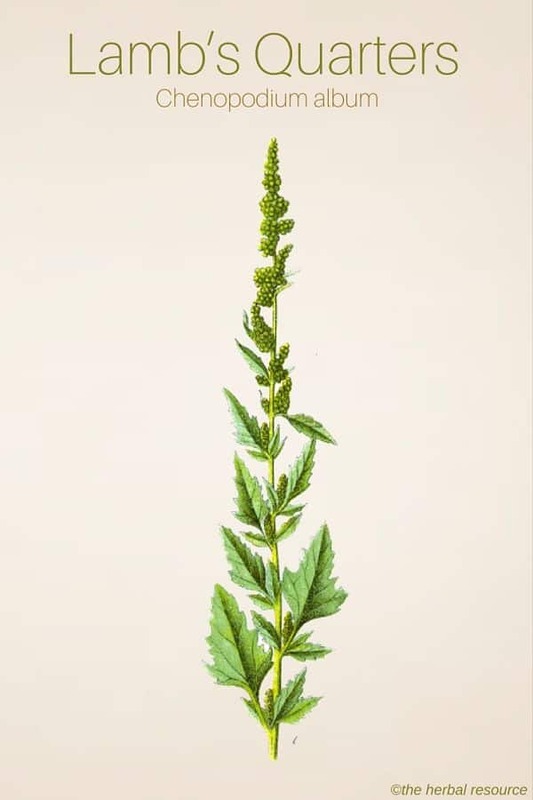 The Latin genus name Chenopodium derives from the words “cheno”, which means goose and “podium”, which means foot, and refers to the resemblance the leaves of some of the Chenopodium species have to geese feet. The species name album means white and refers to the white hairy coating on the leaves and shoot tips. Other Common Names: White goosefoot, fat hen, common pigweed, baconweed, English mercury, mercury goosefoot, smearwort, dirtweed, anserina-branca (Spanish), hélunjóli (Icelandic), Weißer Gänsefuß (German), chenopode blanc (French), meldestokk (Norwegian), svinmålla (Swedish), gåsefod (Danish), jauhosavikka (Finnish), bathua (Hindi). Habitat: Lamb’s quarters probably has its origins in Europe but is now very common in areas with a temerate climate around the world. The plant is sometimes regarded as a weed and can often be spotted in fields, gardens, on earth and manure piles, by roadsides, sea shores and in landfills. Lamb’s quarters belongs to plants that have flourished around humans and it is often one of the first plants that establish itself in disturbed soil. Description: Lamb’s quarters is an annual plant belonging to the goosefoot family (Chenopodiaceae). 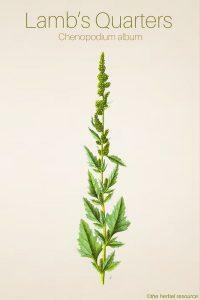 It has an erect stem with vertical branches, reaching from 25 to 40 cm in height, but in a good soil, it can grow over one meter tall. The alternate leaves are spread across the stem. The leaves close to the base are toothed and diamond shaped while the leaves on the upper part of the stem are thin pointed and covered with tiny whitish hairs on the underside. The flowering usually takes place from July to September. The flowers are very small and grow in small cymes that form a dense inflorescence. Lamb’s quarters produces two kinds of seeds, one is small, brown and germinates in the fall, while the other is slightly larger, black, and germinates usually in the following spring but it can retain germination capacity for years in the soil. Plant Parts Used: All of the aerial parts of the plant have been used as herbal medicine but it has primarily been used as a food plant (mainly the leaves and the seeds). Active Ingredients and Substances: Lamb’s quarters is rich in the minerals iron, phosphorus, and calcium. It also contains beta carotene and vitamins B1 and C.
The seeds are very nutritious and contain in addition to fat, about 49% of carbohydrates and 16% of protein. Lamb’s quarters uses as a food source reaches back for thousands of years. The seeds have been found in archaeological excavations at settlements from the Stone Age and they were found in the Oseberg ship, a Norwegian Viking ship built in AD 820 and excavated in 1904. In the 1950s the seeds were found in the stomach of a 2000-year-old mummified human, (The Tollund Man) discovered in a marsh in Denmark. The remains were in such a well-preserved state that the stomach content could be analyzed. Lamb’s quarters seem to have had rather limited medical application in the past, but there are some references to its uses as a medicinal herb in European and North America traditional medicine. 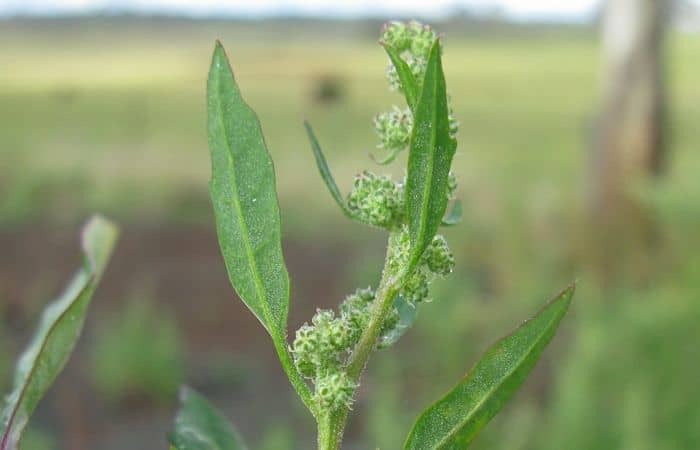 The plant was used traditionally as an herbal remedy for eczema, rheumatic pains, gout, colic, insect stings and bites. Also a decoction made from the herb was used to treat tooth decay. The sap extracted from the plant stems was used to reduce freckles and treat sunburns. It has recently been confirmed that lamb’s quarters can have a positive effect on chronic wounds and that it has a mild laxative effect. Various native North American tribes used the plant both as a food source and herbal medicine. The Native Americans used the herb in the form of a decoction which was consumed to “improve the blood”. As a cooked vegetable the plant was used for its overall health benefits and as a preventive method for scurvy. A decoction was used both externally for cleansing and internally for painful legs. The leaves and stems were boiled with beans to curb stomach aches and to reduce bowel gas production caused by the beans. Furthermore, wraps were made from the leaves and used as a treatment for burns. Lamb’s quarters is related to spinach (Spinacia oleracea) and can be used in the same way in cooking. In Europe, when spinach was first introduced in the Middle Ages, the tradition of eating lamb’s Quarters was largely forgotten. In some European countries when faced with starvation during World War II the old tradition of consuming the plant as a vegetable was revived. The herb contains more iron and protein than both cabbage and spinach, and more vitamin B1 and calcium than raw cabbage. In cooking the leaves can be boiled as a vegetable or eaten raw. They are an excellent addition to both soups and stews. They can also be finely chopped and added to salads or to any kind of dishes were a little “green touch” is needed. When the young stems are still soft early in the summer, they can be used in the same way as asparagus. Furthermore, the young flowering bulbs can be boiled and eaten as a broccoli substitute. The seeds are very nutritious and can be dried and ground into a flour. 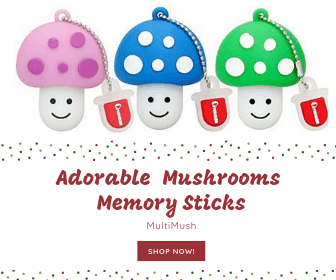 They can also be used to make porridge or mixed with casseroles and soups. In addition, the seeds can be sprouted and use in salads. The seeds have been used for centuries as a chicken fodder which is reflected in one of the plant’s common English name “fat hen”. As a poultice for wound treatment, the fresh leaves should be mashed before applied to the injured area. To make an herbal tea, one teaspoon of the dried leaves can be added to one cup of boiling water which then is allowed to steep for 10 minutes before it is strained. This herbal tea can be drunk as needed. Lamb’s quarters is an edible plant that has been used as food since ancient times. It is, therefore, safe to say that little risk is associated with ingesting this herb in reasonable amounts. Many species belonging to the genus Chenopodium contain saponins, but often in such small quantities that they are harmless. Although saponins are poisonous, they are usually not absorbed well by the body, and in most cases pass through the intestines without causing any problems. In addition, the saponins are mostly broken down and rendered harmless when boiled. There have been reports of sensitivity to light in people after consuming large quantities of the plant.